There are many kitchen refacing and refinishing companies in the Phoenix Metropolitan Area, and choosing which one to use for your kitchen project can be daunting. Below are a few helpful tips to consider and questions to ask before deciding on which refinisher or refacer is right for you. “Are you licensed, bonded and insured?” Knowing whether or not your kitchen refacer or refinisher is licensed, bonded and insured is important to know because it protects you as the consumer. It is assurance that your kitchen will be properly refinished or refaced to code. Get their Register of Contractors (ROC) number, and be sure to call and check to see if the company is actually licensed and to see if they have any outstanding complaints filed against them. “Can you provide referrals for recently completed jobs?” This is an opportunity for you to directly talk with other customers who have experienced the kitchen reface or refinish installation process first hand. Check them out on social media and consumer review sites such as Facebook, Yelp, Angie’s List, Google+ and Instagram. Visiting these types of sites can provide a wealth of information about the company and its customers. They can give you examples of recently completed kitchen refacing or refinishing jobs and customer reviews. Find out who will be on the job sight completing the project and what level of involvement the owner has in the installation process. It’s important to find out what level of experience the crew has and how closely the “big cheese” will be working on your kitchen. Knowing this will further instill confidence in your decision and put your mind at ease. “What type of material do you use?” When refacing kitchens, do they use peel & stick veneer or quarter-inch panels with composite core? The latter is preferable because the quarter-inch wood is glued and micro-pin-nailed on, making it more durable and longer-lasting than the peel & stick material which can delaminate (peel off) over time. When refinishing a kitchen, do they use latex paint for opaque (solid) colors or do they use some form of solvent-based lacquer? 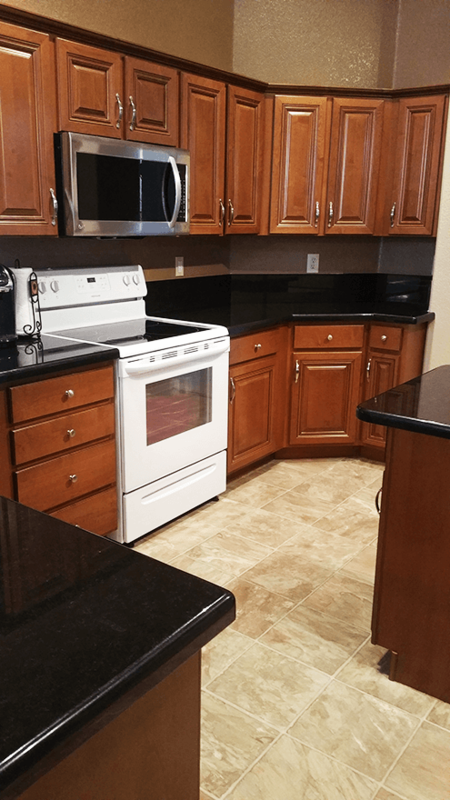 Solvent-based lacquer is preferable because it creates a smoother, harder finish that is more scratch resistant and provides an even sheen to the overall look of the cabinets. Latex paint is not the appropriate material to use on kitchen cabinets or any other high use – touched often areas in your house. Latex paint is basically liquid rubber and can easily peel off. “How do you treat all visible inside edges?” This question refers to the inside lip of the cabinets. Painting the lips of all visible door openings gives the kitchen a more seamless, finished look that is often missed or not included in the process due to time and/or cost. “Where does the product come from?” Is it made in America or overseas somewhere? (This particular question is geared more for kitchen refacing and not refinishing.) The wood quality coming from outside of the United States tends to be poor, and chemical regulations are not as restricted. So your product may contain stinky, toxic chemicals. In addition, it’s difficult to add on after the original installation and get the same wood quality and color. 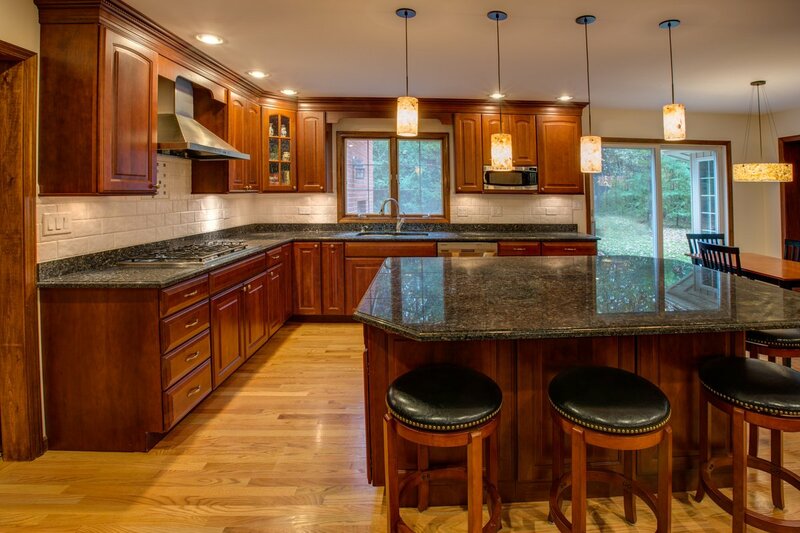 Following these tips and asking the right questions can help ensure a positive, satisfying kitchen reface or refinish. Here at Better Than New we pride ourselves on quality products, master craftsmanship and stellar customer service. 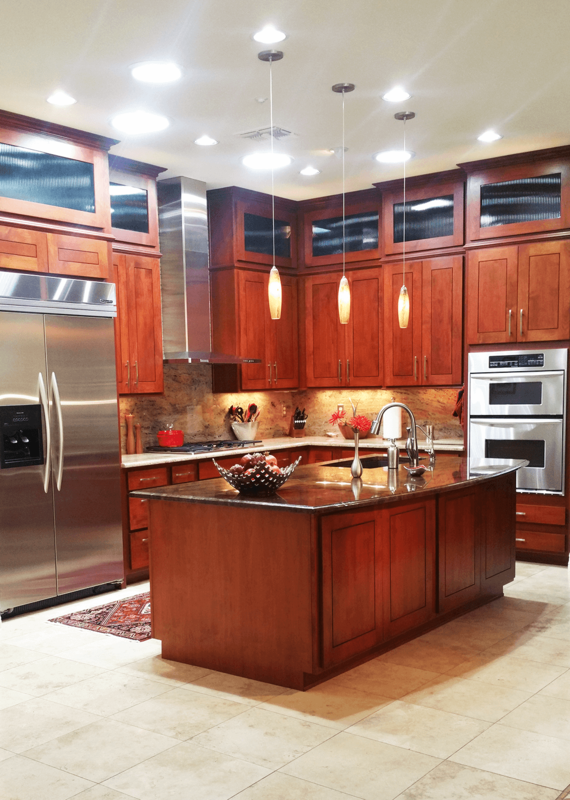 We are confident that you will be satisfied with your new kitchen. 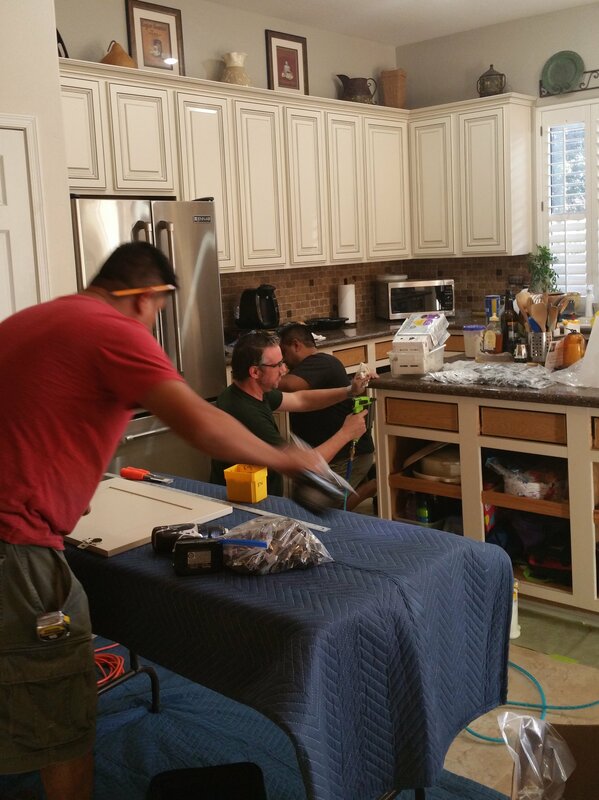 Above is a picture of owner Dan Oldejans working with his crew during a Scottsdale kitchen reface in late 2015. If you look closely you can see the visible inside edges of the cabinets have been painted to match the new color of the kitchen. This reface project refreshed an outdated golden oak kitchen with a chocolate brown glazed antique white kitchen. The after picture is beautiful; what a great choice! 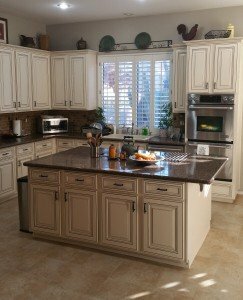 Call today for more information about kitchen refacing or refinishing, our products, our process and our company, (480) 429-7615.
previous post: To Reface or To Refinish Your Kitchen, That is the Question.